The head of the U.S. Department of Agriculture said on Tuesday that there’s significant interest in the federal government’s regulatory plans for industrial hemp, and he attributed some of that enthusiasm to CBD oil and hemp’s relationship to marijuana. 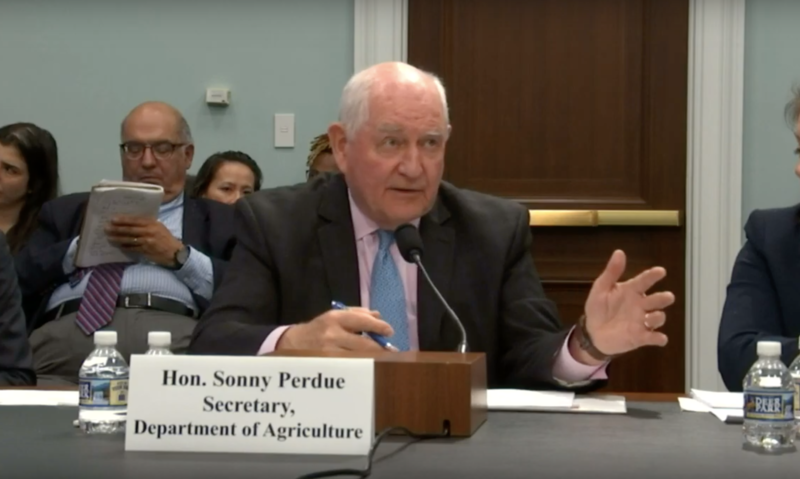 “Our goal is to have them out with plenty of time for the 2020 planting season, where we approve the state lands and the states will provide fees for participating, and they will be the primary regulator of the federal rules in that regard,” he said. If USDA runs into any difficulties along the way, Senate Majority Leader Mitch McConnell (R-KY), who led the charge on the hemp legalization provision, said on Monday that he was open to introducing standalone legislation to resolve any “glitches” in the process. McConnell and Sen. Ron Wyden (D-OR) sent a letter to Perdue in February imploring the department to develop and implement hemp regulations “expeditiously.” The senators said the regulations should provide for the lawful interstate shipment of hemp and access to banking services.